Forget spiders, the dark, or tiny spaces. 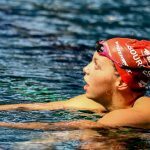 Swimmers experience their own set of fears, resulting from competitive anxiety, unclean pools (read: other swimmers) and forgetting to knot up the drawstrings. The fact is that these five things are all things that scare the bejeesus out of your local neighborhood swimmer. It’s what we have nightmares about at night. It’s what we think about when our brain races to find the WPO (worst possible outcome), and when they do come to pass, they send us scrambling into full blown panic mode. You’ve trained your heart and soul out for this all important race. You get up on the blocks, and for whatever reason the starter takes 18 light years between “take your marks” and setting off the starter’s pistol. Anticipating the gun to go off, your body rocks forwards just enough that you can’t hold yourself back. 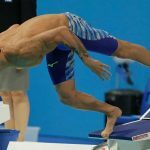 While you hit the water—bonus style points if your hands remain locked on the blocks while your body somersaults end-over-end into the pool—the starter is asking the other swimmers in the field to stand up. 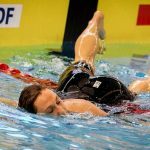 Ian Thorpe experienced this at the 2004 Australian Olympic Trials, false starting in his best event, the 400m freestyle, showing that losing focus for even a moment on the blocks can happen to even the fastest swimmers on the planet. 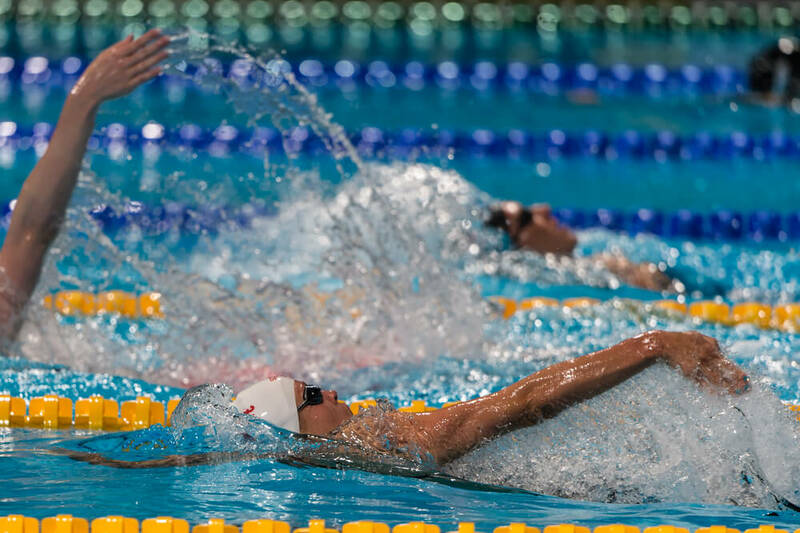 Swim meets are a beehive of activity for many swimmers. You get to see friends who you haven’t seen since the last meet, and the combination of swimming taper energy and gaps of time between events means that it can be easy to lose track of time. 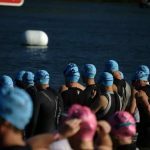 Looking up from the stands and seeing your competitors on the blocks, the gap in the field where you should be, has sent many a swimmer careening down the pool deck, simultaneously disrobing while panic-strapping on a cap and googles. 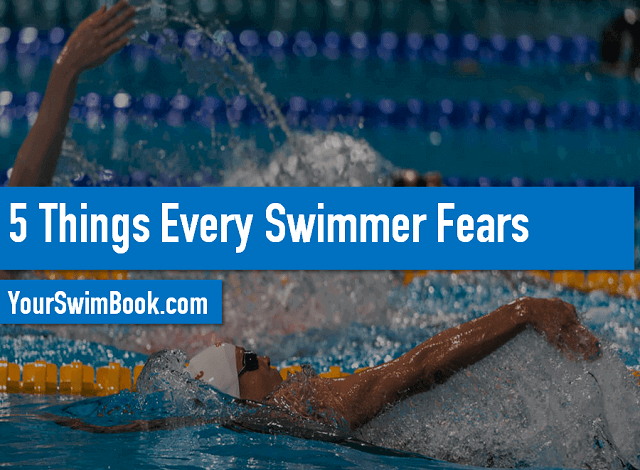 The list of nightmares doesn’t end when you get up on the blocks and make it into the water without false starting. 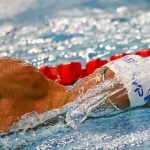 Michael Phelps dealt with the more common of the equipment failures—LGS (leaky goggle syndrome) during the 200m butterfly at the Beijing Olympics in 2008. He survived that bout of equipment malfunction by leaning on his stroke rate, knowing exactly how many strokes he would have to do before hitting the wall. If leaky goggles are scary, than a suit ripping as we are diving off the blocks is downright petrifying. 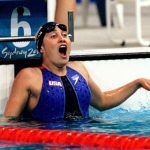 Sure, us swimmers are a little more comfortable with our bodies than the standard person. But, hey, those are our privates, y’know? Bonus points if you can manage the triple salchow, the great white buffalo, of equipment failures: leaky goggles, ripped cap and a torn swimsuit. 4. Those mystery clumps in the water. Swimmers need to be a little ignorant. We know that other people in the pool are undoubtedly peeing—some feel free to broadcast their activities with pride—blowing their nose, and so on. 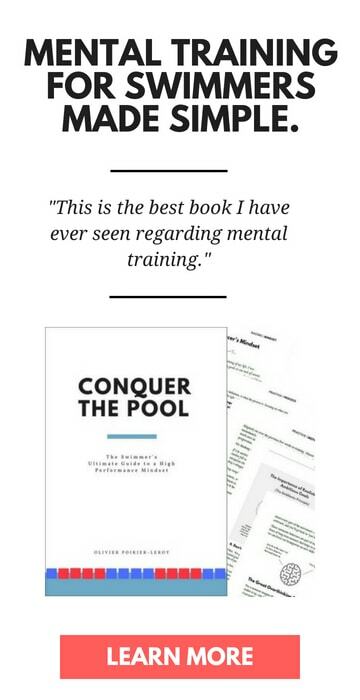 If we sat down and really thought about what goes into our pool on a daily basis we’d rethink the whole competitive swimmer thang. Instead, we block it out. But every once in a while something hurtles out of the deep and strings itself across our fingers, or worse yet, plants our face. Whether it is a big clump of someone’s hair, mucus, or possibly worst case—a combination of both—those moments shatter the illusions we have built up for ourselves that our pool is an oasis for cleanliness and hygiene. 5. Leaving early on the relay take-over. You know you have made it as a swimmer when you can represent your country on the grandest of stages. The pride and satisfaction that comes with knowing you are the best that your country has to offer, and that you are repping your flag is impossible to describe. 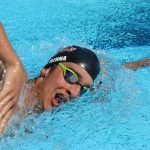 At the 2013 FINA World Championships in Barcelona, Kevin Cordes was set to swim the breaststroke leg of a very fast American team that included Nathan Adrian, Matt Grevers and Ryan Lochte. As the backstrokin’ Grevers came smashing into the wall, Cordes, who was coming off a devastatingly fast NCAA campaign, took off just 0.04 one hundredths of a second early. The DQ negated Adrian’s unbelievable anchor leg of 46.69, and the American’s gold medal effort. Getting disqualified in an individual event is bad enough, but when it also costs your friends and teammates a shot at gold it hurts twice as bad. 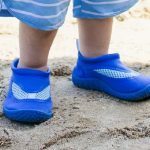 Ready to Take Your Swimming to the Next Level?